We have already had our fair share of popsicles in this house already this summer. My husband and I are working towards a healthier lifestyle and that includes lots of fresh fruits and vegetables. Our little popsicle obsession has come into play to soothe that sweet tooth a bit. We have opted for the ones that are low/no sugar versus the sugar laden ones. And to be honest, they do tend to get a little pricey so we had to supplement some with making our own. I have to say, I am really diggin' it! No 4th of July celebration would be complete without a little red, white, and blue treat. 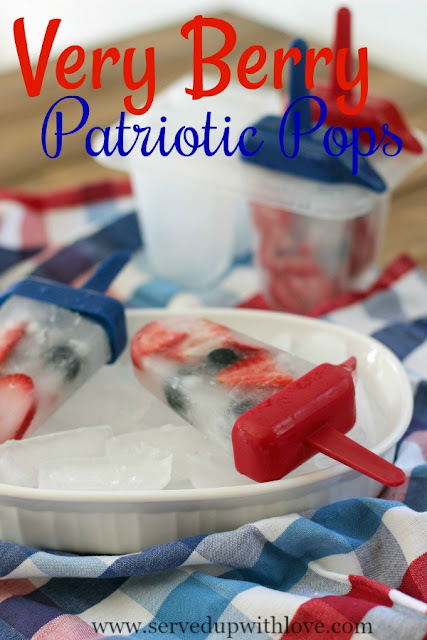 These Very Berry Patriotic Popsicles are packed with a bunch of fruit that just about anybody would love. The added bonus is not only are they healthy but super delicious. The kids will never even know these popsicles were good for them. 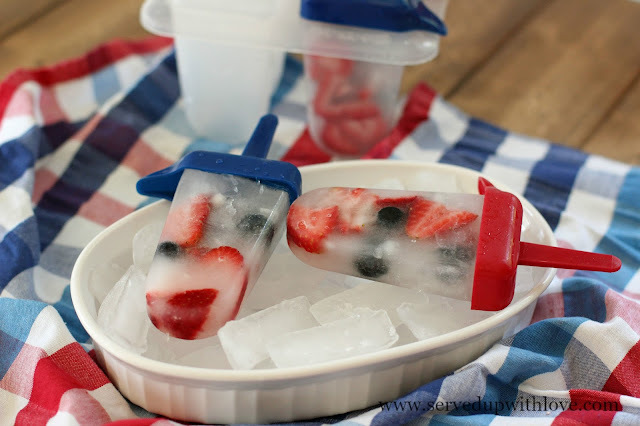 Drop the berries into popsicle molds. 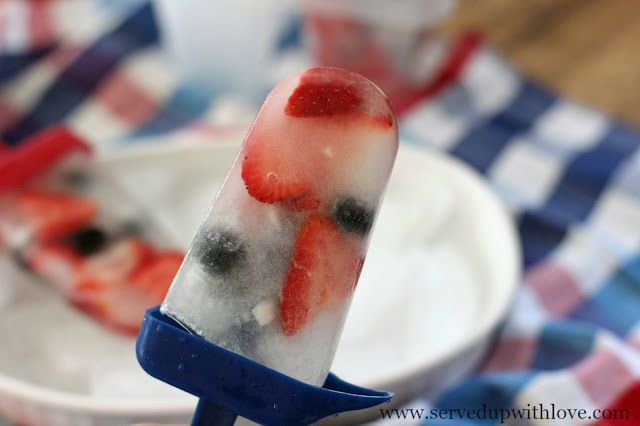 Pour coconut water over the berries to fill the popsicle mold, then add the handle. Or if using popsicle sticks, cover and insert the sticks. Freeze for several hours. Run under warm water to remove the popsicles from the mold. Not sure if my comment took earlier today, but was inquiring about what brand/kind of coconut water you used. It is Vita Coco, you can usually find it very easily in your grocery store. What an easy and awesome idea!